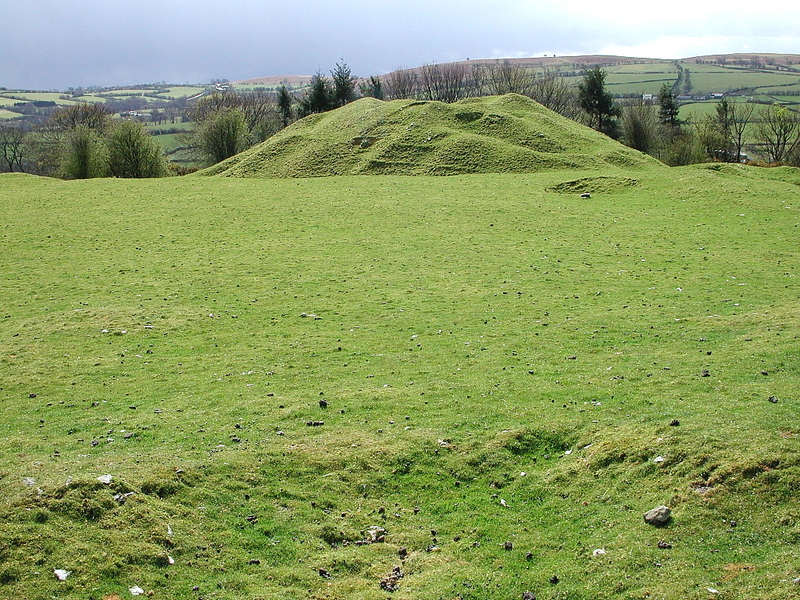 Above: view of the motte at Painscastle from the far end of the bailey. The castle is named after its builder Pain Fitz-John and was probably captured and destroyed by Madog ab Idnerth soon after Pain was killed in July 1137. The castle was rebuilt but soon destroyed again by the Welsh. By the 1190s the castle was held by William de Braose, and his wife Maud is said to have defeated the Welsh at Pain's Castle in 1195. 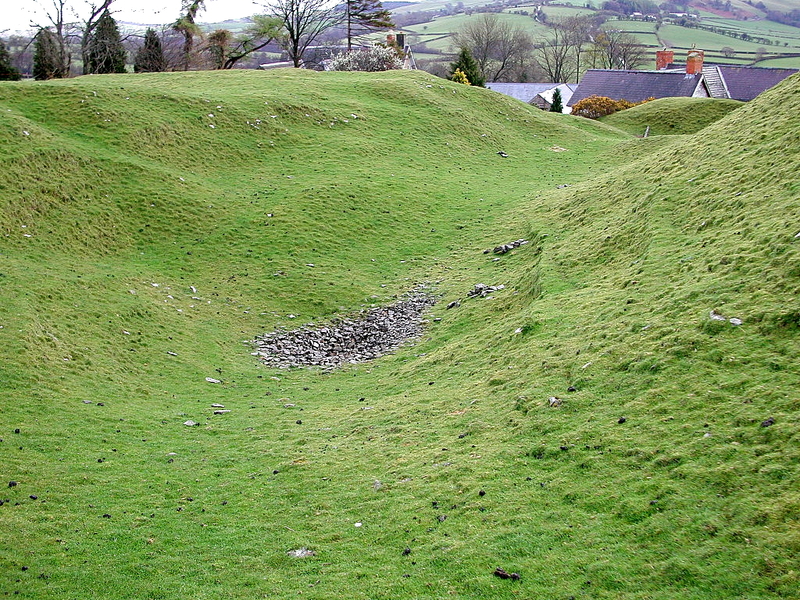 Prince Rhys of Deheubarth besieged the castle in 1196 but failed to take it before a truce was made, and there was another attack in 1198, this time by Gwenwynwyn of Powys, who was incensed by his cousin Talhaiarn having been dragged through Brecon, tied to a horse and beheaded. 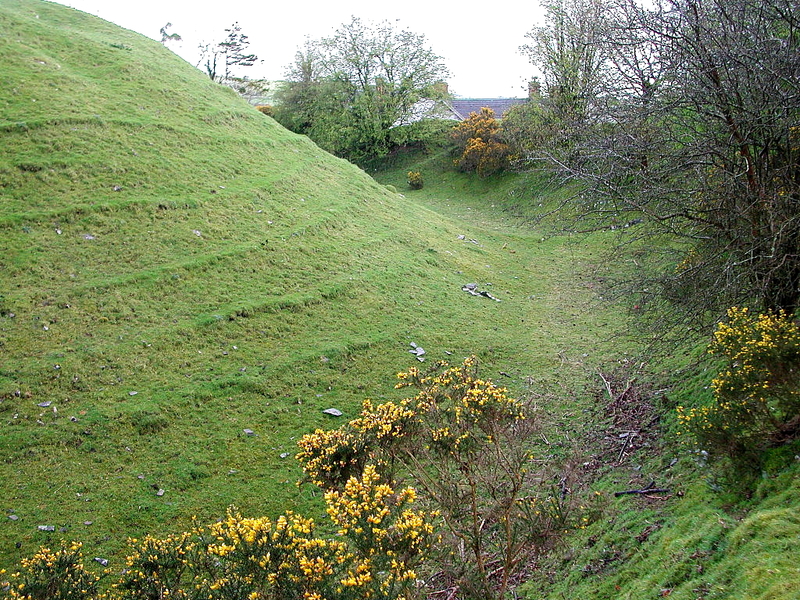 King John took possession of the castle in 1208 but it was captured in 1215 by the de Braose's ally Gwalter ab Einion Clud. Gwalter submitted to King John in 1216 and became lord of Elfael, but after he died c.1222 the Welsh of that lordship transferred their allegiance to Llywelyn ab Iorwerth, and the castle must have been destroyed around then. The castle was rebuilt in stone by Henry III in 1231 with a round tower keep on the motte and curtain wall with an east gatehouse and several D-shaped flanking towers. The castle was granted to Roger Tosny in 1255 and a year after his death in 1264 it was captured and wrecked by the Welsh. Ralph Tosny rebuilt the castle in 1277 and it later passed to the Beauchamps, Earl of Warwick. It was garrisoned by them in 1401 against Owain Glyndwr. 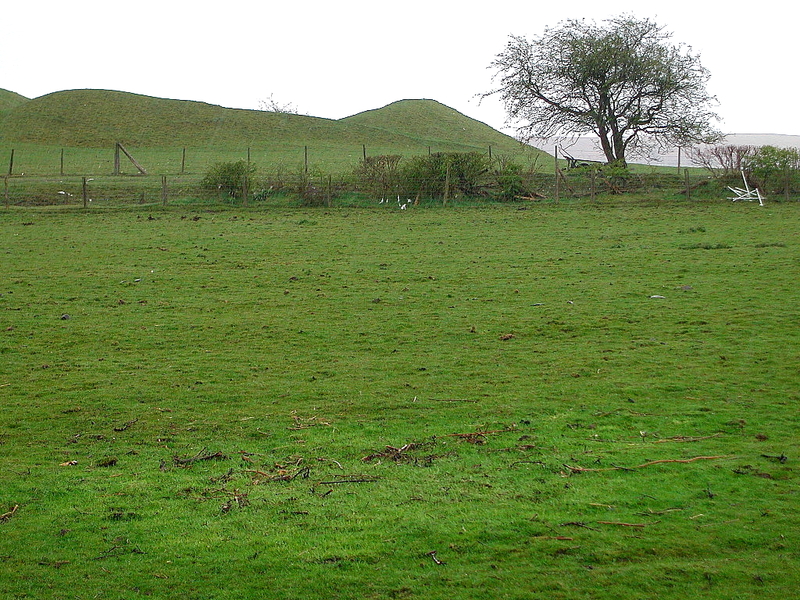 Only impressive earthworks remain, comprising a 9m high motte with a summit 22m long, a bailey 60m wide extending 45m north from the motte ditch, and a deep surrounding ditch with a counterscarp bank. On the west side a barbican projects into the ditch from the bailey SW corner. 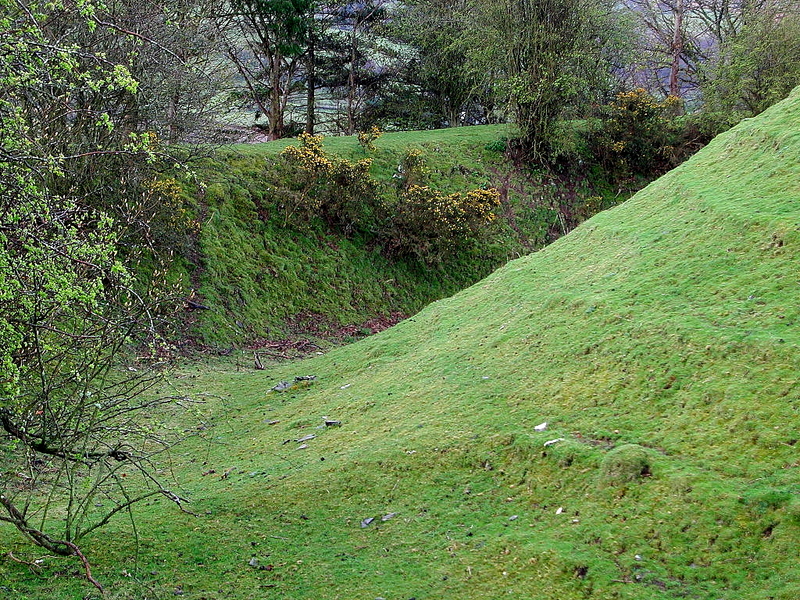 Today the main feature of the castle is the large motte. Traces of foundations suggest that it originally supported a round tower, though the foundations have largely been grubbed up. 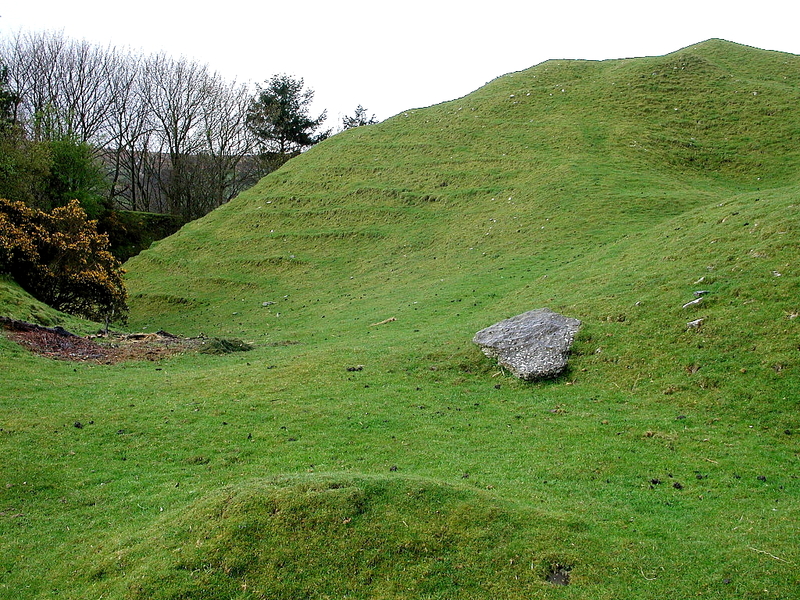 Entrance to the keep was apparently gained through a barbican which crossed the motte ditch to the west. In 1231, £72 was spent on this barbican and the provision of a drawbridge. The bailey is roughly rectangular and deeply ditched, with a strong counterscarp bank. It too shows evidence of the stone walls having been grubbed up, robber trenches running along the lip of the ward. 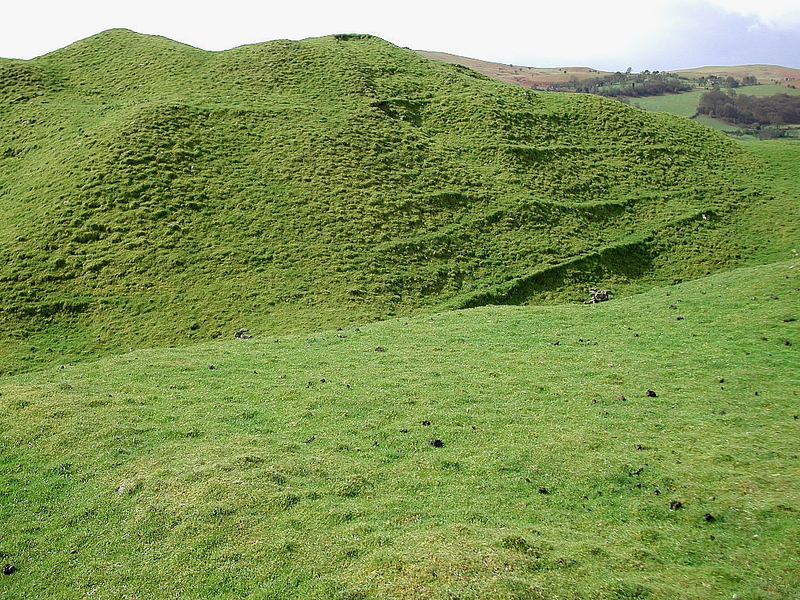 The overall shape of the castle is that of a playing card, and as a Roman fort could be expected in the area it is possible that this is what was originally here. Roman pavements have been found at the site. 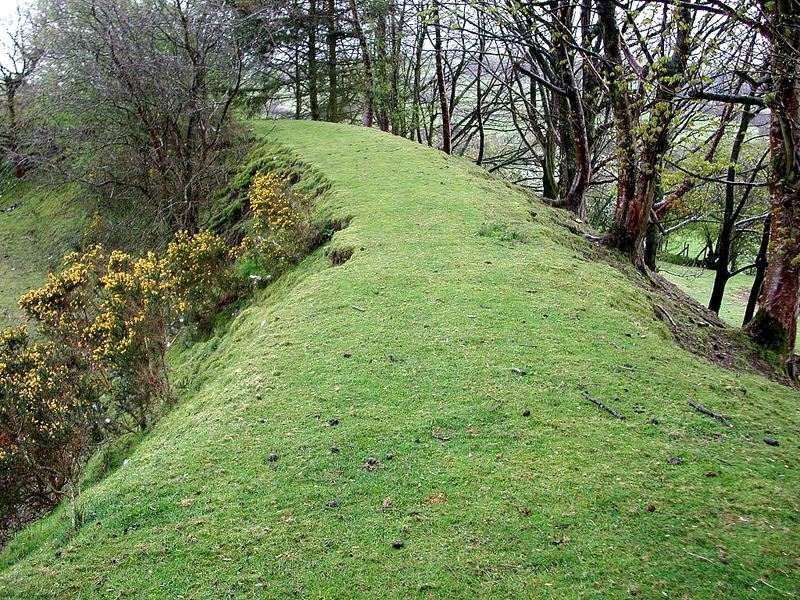 Below: the motte at Painscastle viewed from the ditch. 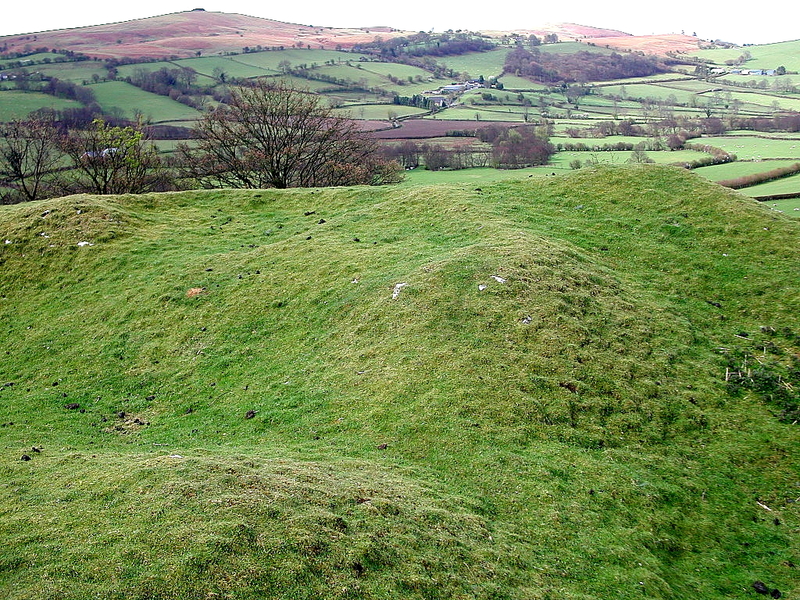 Below: another view of the tremendous earthen mounds and ditches at Painscastle. 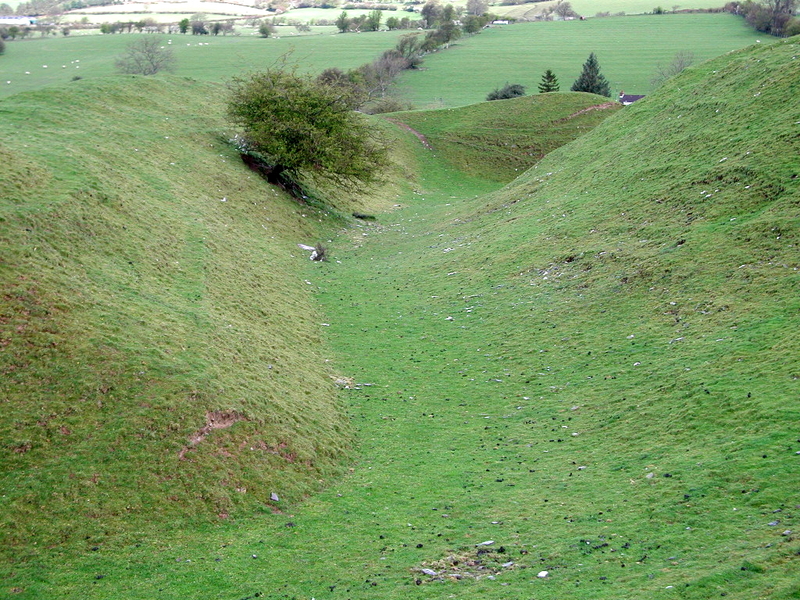 Below: view of the top of the main ditch surrounding the motte at Painscastle. 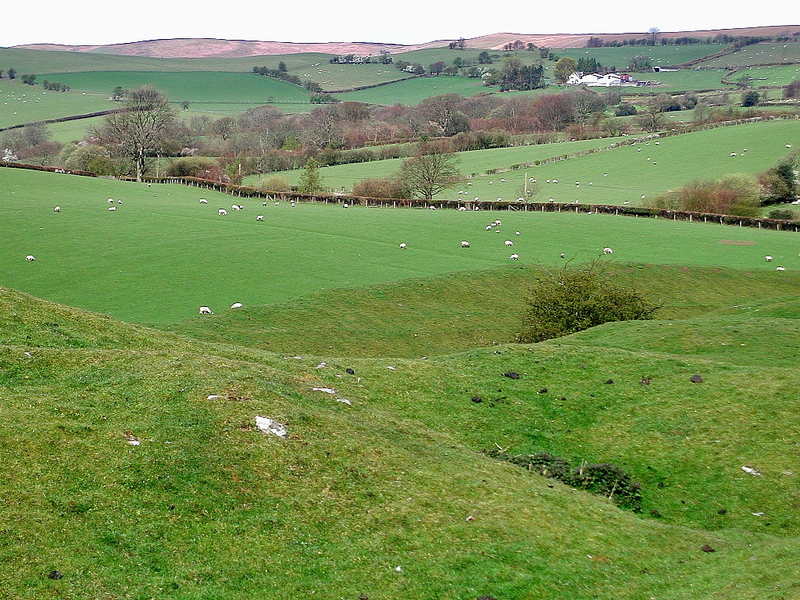 Immediately below is a view of the motte at Painscastle from the ditch, followed by two views across the summit of the motte to the countryside beyond.